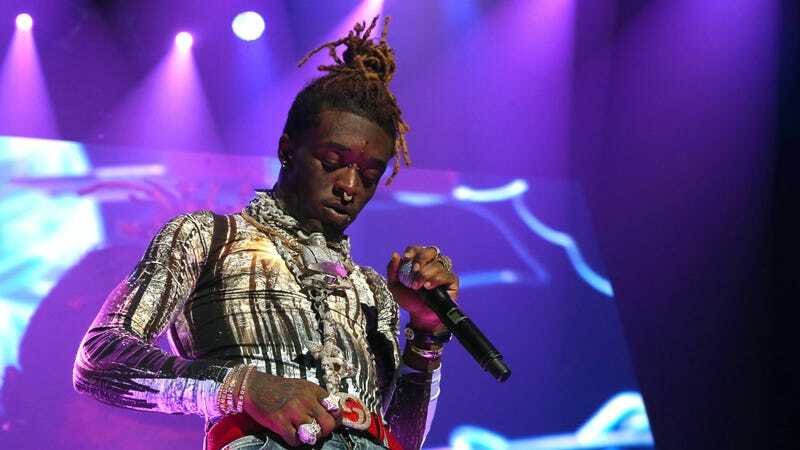 Platinum-selling rapper Lil Uzi Vert has announced that he’s “done with music”; the Luv Is Rage 2 artist, considered a strong contender for the Grammy’s Best New Artist award just a few years ago, posted a story to his Instagram this weekend thanking his fans, but declaring that he wanted to “wake up in 2013.” He also deleted all the music content from his account, leaving only a series of selfies because, hey, sometimes you still want to look good, right? Based out of Philadelphia, Lil Uzi started making a name for himself in 2014, dropping a series of EPs and mixtapes that quickly caught label attention; two years later, he was touring with people like Gucci Mane and The Weeknd, building anticipation for his first studio album. (When it finally arrived the next year, it landed at No. 1 on the Billboard 200 chart.) Openly emotional and frequently nerdy—i.e., the kind of rapper willing to drop a Steven Universe reference in his verses—Lil Uzi released new music as recently as last September, when he dropped a new single from his long-anticipated sophomore album, Eternal Atake. It’s not clear what this weekend’s abrupt announcement means for the album’s future—it’s not like social media hasn’t made it painfully easy for artists to make big, sweeping statements that they sometimes later have to walk back—but it probably doesn’t bode well.